"Writing about ordinary people and their problems is the most interesting kind of writing you can do," Mr. Anderson once said of his work as a Seattle Times columnist. Rick Anderson, a Seattle journalist for more than 50 years and a former Seattle Times columnist who wrote about “underdogs and underdog causes,” has died. He was 77. Mr. Anderson was found dead on Dec. 24 by his daughter, Darcy Anderson, in her White Center apartment, where he had been living most recently, she said. She said she had been away for a few days before returning on Christmas Eve. The cause was complications of congestive heart failure. Over six decades, Mr. Anderson wrote for the Seattle Post-Intelligencer, The Times, the Seattle Weekly and, more recently, the Los Angeles Times and Crosscut. 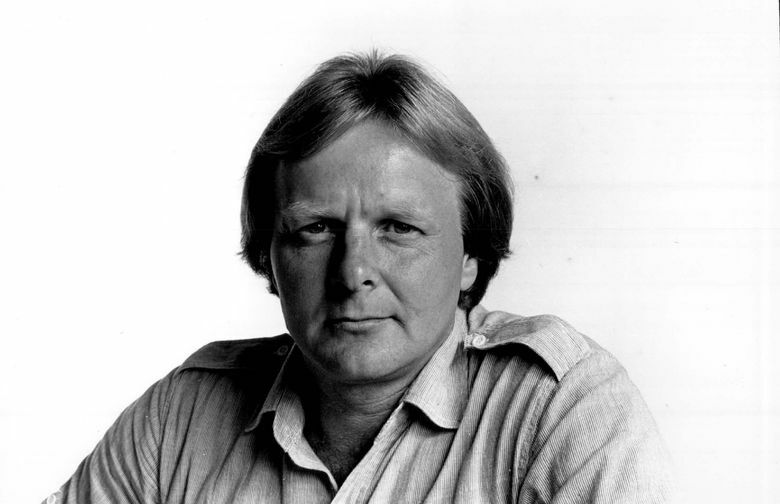 In 1985, while working as a columnist at The Seattle Times, Mr. Anderson was named the winner of the Heywood Broun Award, the highest prize of The Newspaper Guild, the nationwide union representing newspaper staff. Past winners included famed Chicago columnist Mike Royko and Watergate reporters Bob Woodward and Carl Bernstein. In a Times story on the award, then-reporter Bill Dietrich described Mr. Anderson’s news sources as not the type to hold news conferences or hire public-relations firms. “Backwards Louie and Sideways Dave are not the kind of newsmakers most reporters seek out,” Dietrich wrote of the characters Mr. Anderson profiled. “George and Pansy Kotoloris, ‘Seattle’s only mother-son funeral-attending team,’ are not your usual celebrities. “But Times columnist Anderson is a sucker for underdogs and underdog causes, be it saving The Turf restaurant, getting street cops for Belltown or taking on the tyranny of downtown parking lots,” Dietrich wrote, calling it the kind of tragic, funny, gritty street journalism that would have appealed to Broun, a legendary New York columnist. Mr. Anderson explained at the time that his worldview formed during his childhood around Grays Harbor, where his father was a pulp-mill foreman and many people were unemployed. “Writing about ordinary people and their problems is the most interesting kind of writing you can do,” he said. Born on Sept. 14, 1941 to Richard C. Anderson and Elinore Anderson, Richard G. Anderson was a “rather rambunctious” child who played his cornet so much that his older sister, now Susan Anderson Merriman, threw it out of their house, she said. Overall though, “He was a good brother,” Merriman said. Their father died when Mr. Anderson was 15. He went on to attend Grays Harbor College and left Hoquiam to work as a sports writer and editor at various newspapers in California and Washington. In 1961, Mr. Anderson started as a copy boy at the Post-Intelligencer and by 1971 he became a daily columnist, making Skid Road and the problems of ordinary people his beat. “It was all pretty good stuff,” said Tony Johnson, a close friend and a former P-I pressman. In 1977, he crossed town to join The Times, wooed during a clandestine lunch at, of all places, the tony Rainier Club, where to get in he had to wear a borrowed tie. He got a $50-a-week pay raise at The Times, which he left in 1991. At both the P-I and Times, Mr. Anderson also wrote tough investigative stories, which became a hallmark of his later work for many years at the Weekly. While working on a Times story on a large Seattle company, legend has it that the company told him that it usually sent a press release by taxi to another trusted reporter. “That’s yellow-cab journalism,” Mr. Anderson reportedly quipped. In 2010, Mr. Anderson published a book, “Seattle Vice: Strippers, Prostitution, Dirty Money, and Crooked Cops in the Emerald City,” which chronicled the life of the late organized-crime figure Frank Colacurcio and was made into a cabaret musical. Mr. Anderson’s personal life included a first marriage in 1963, which produced four children. His former wife, Burgene Anderson, recalled that they divorced six days before their 25th wedding anniversary, but she still speaks fondly of when he took her to Ricky Nelson and Johnny Mathis concerts when the entertainment editor at the P-I let him cover such events early in his career. As a father, Mr. Anderson was “always the silly dad,” who at family gatherings was usually crawling around with the kids in another room, Darcy Anderson said. In 1988, Mr. Anderson married Monica “Mo” Trinkl, who worked at Pike Place Market and now is a private investigator. “On both sides, we were never boring,” Trinkl said. The couple were together for 32 years and married for about 30 before divorcing. But she continued to live with him, providing care as his health failed until near the time of his death. Mr. Anderson was predeceased by his parents and a sister, Jill Elliott. In addition to Susan Merriman and Darcy Anderson, Mr. Anderson is survived by Merriman’s husband, Arden; Mr. Anderson’s daughter, Kristie Anderson-Denger, her husband, Mason, and their three children, Jack, Kate and Charlie; his son, Erik Anderson, his wife, Jammie, their child, Gavin Newman; and son Erin Anderson. A celebration of Mr. Anderson’s life is pending.